Learn to see “inside” the price movement to gain a greater understanding of “how” price is moving from an orderflow perspective. Learn to see changes in the internal properties of price movement – directionality, speed, acceleration, volatility, and overlap. 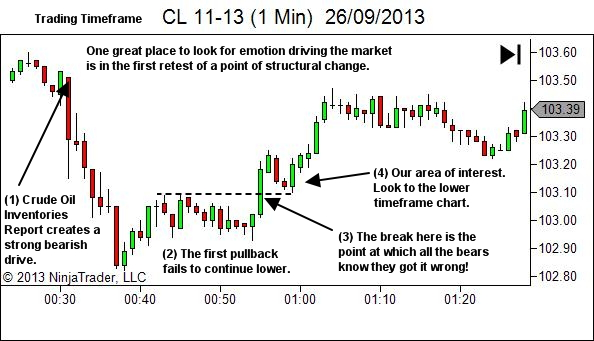 Learn to see signs of strength and weakness within the price movement. 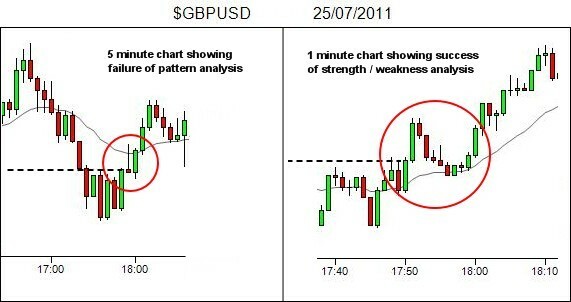 Having learnt to assess the internal nature of price movement, you’ll be light years ahead of the majority of traders who can simply give you the name of a pattern and tell you where the text book says that price should go. But I want you to go one step further. 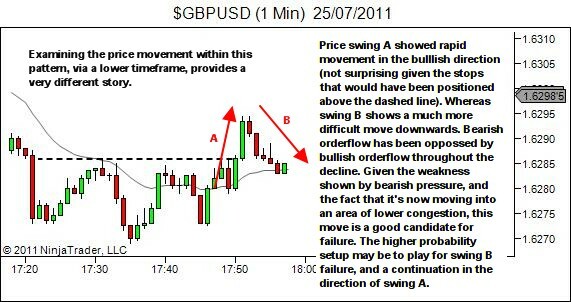 Learn to see where the emotions of other traders will drive the changes to orderflow that provide opportunity in the market. Learn to sense the fear of those that have created the price movement and trapped themselves in a losing position. 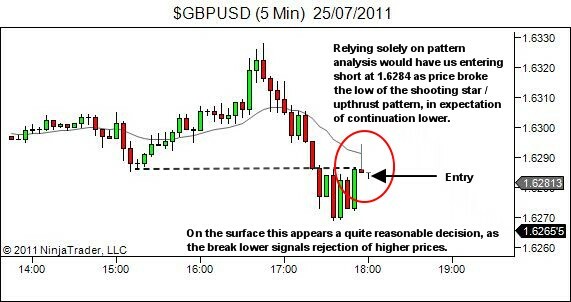 Learn to understand how and when their exit orderflow will drive price… and how far market context should allow it to go before other traders will oppose the move. 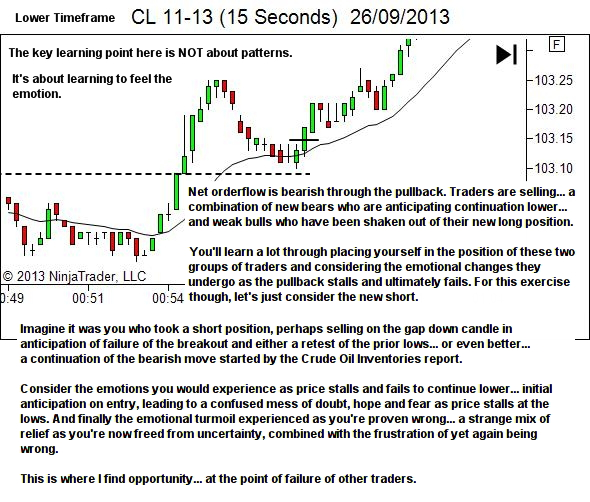 And in doing so… learn to profit from the demise of those who fail to understand the true nature of this trading game. There’s a big difference between knowing the name of something and knowing something. Most of the education we receive in trading is of the former category. I’m asking you to take the much harder path. Go above and beyond the mass of other traders. Because in trading, we’re not really playing a game of price. We’re playing other players. The consistent winners are those who know what game they’re playing and who know how to recognise and exploit the opportunity that becomes available when other traders fail. It’s your choice which path you take.